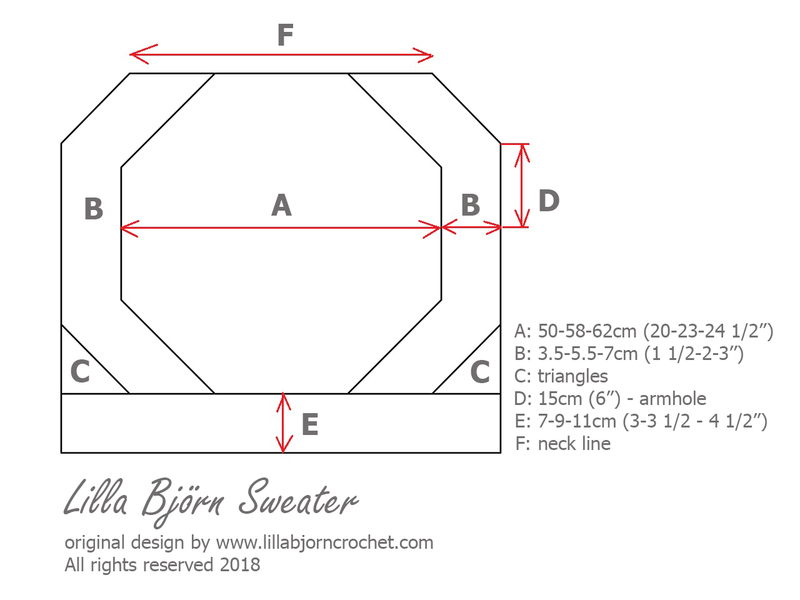 As promised here is the pattern for Lilla Björn Sweater. The instructions were getting too long and I decided to split them into three parts. Each new part will be released weekly together with video-tutorial. If you would like to see more pictures of the finished sweater, you can check them HERE. After the reveal I was asked to host a mini-CAL or Make-a-Long for this sweater. 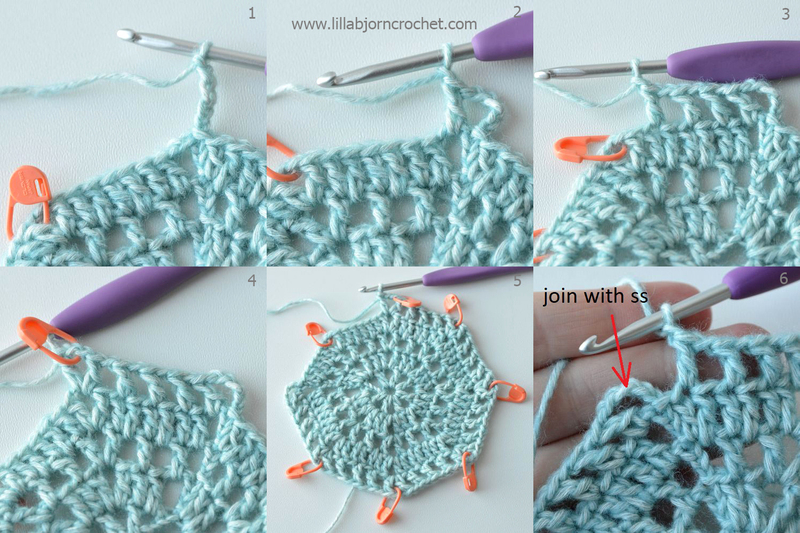 I thought it might be a nice idea, and especially for this project a new Lilla Björn Crochet and Friends group on Facebook was launched. Please, feel free to join and share your progress pictures and all other projects made with my patterns. The group is closed but I will gladly approve you. But please be patient. Because of time differences it may take some time. 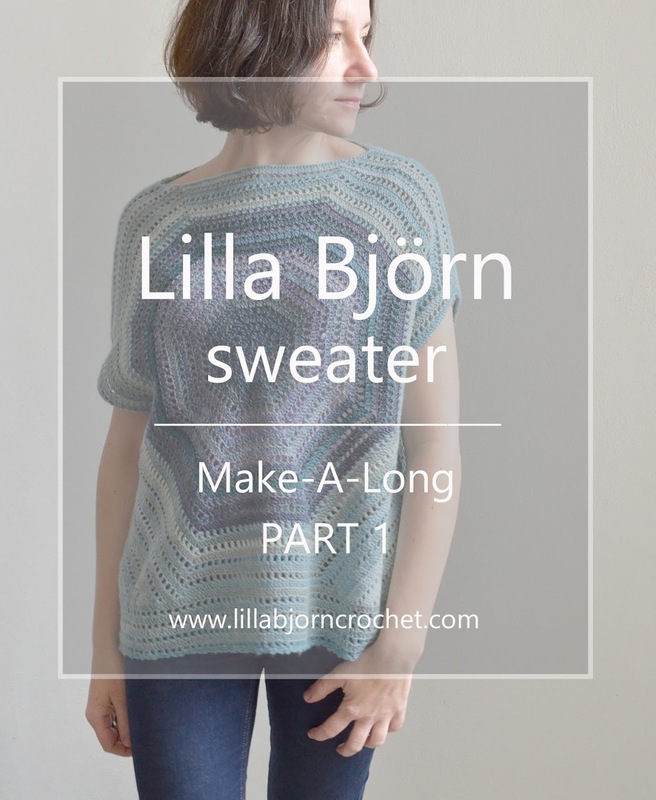 I have also created a separate thread in my Ravelry group for Lilla Björn Sweater Make-A-Long. 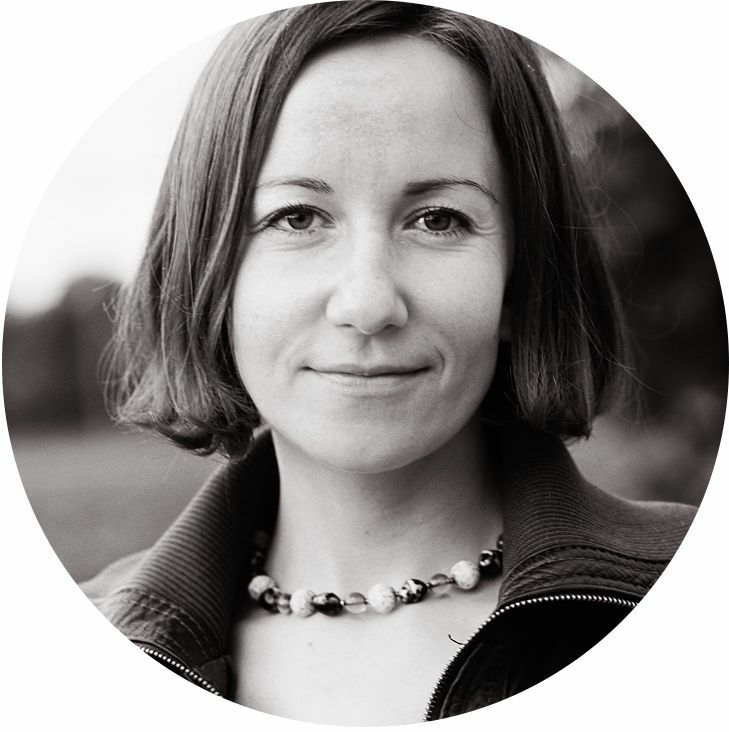 If you like Ravelry better than other places – don’t hesitate and join in! Welcome! If you want to share your beautiful pictures on social media, please, use hashtag #LillaBjornSweater. The pattern is written for three sizes but it can be easily adjusted for your exact size (see approx. yardages for other sizes in Materials). I made two sweaters in size S-M. One of them uses 3 skeins in colorway Lilla Björn, and another one uses 2 skeins in Cypress Textiles and one skein in CanaDutch. Our Tribe yarn is available for purchase in local Scheepjes shops, via Knotty House (Canada)* and Wool Warehouse* (UK, international shipping). Amour Clover 3.5mm (E) crochet hook* or size needed to obtain the same gauge. Scissors, tapestry needle to weave in ends. After Round 5 octagon measures 10cm/4” across. Bottom hem is added in the very end for the desired length of the sweater. This week we are making two central octagons (A) for front and back. TIP: if you want to use two colors, weigh your yarn for octagon center and divide this amount by two. 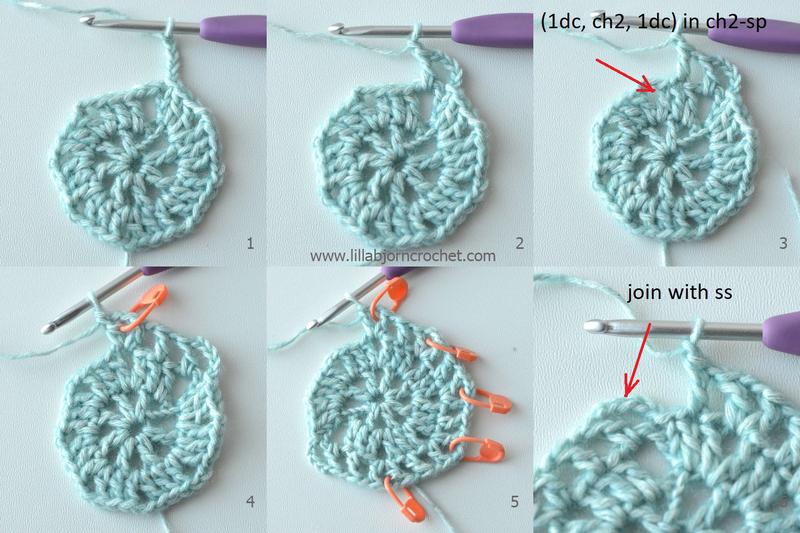 For example, for S/M size you should use ½ skein for the center of one octagon (front) and another ½ skein for the center of another octagon (back). The rest will be made with another shade. 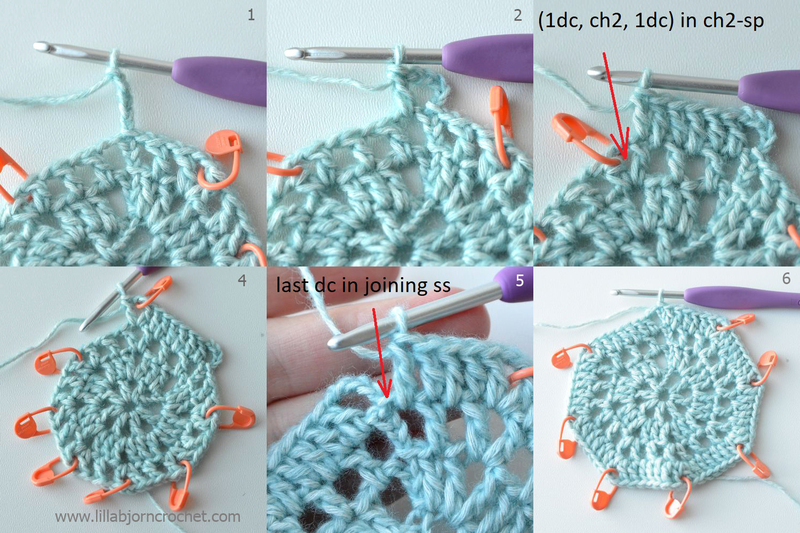 TIP: for an easier count mark each ch2-sp in the corner with stitch marker and move them to every new round as you progress. Repeat rounds 4 and 5 till you get desired length of the sweater (without bottom hem). Finish octagon with rnd 4. Your stitch count should increase by 4 on each side of every “full” round with dc (compared to previous full round). Don't fasten off!! Tip: to prevent “turning effect” of the octagon shape you can made some of the lace rounds on WS. For my sweater I made every third “holey” round on the WS. Example: turn and continue on WS. Ch4 (counts as dc and ch1-sp), skip 1 st, 1dc, [*ch1, skip 1, 1dc in next st* till 1 dc left before ch2-sp in the corner, ch1, skip 1 st, (1dc, ch2, 1dc) in ch2-sp in the corner] repeat 7 times in total, *ch1, skip 1 st, 1dc in next st* till 1 st left before the corner, ch1, skip 1 st, 1dc in next ch2-sp, ch2, join with ss in third ch in the beg of the rnd. For the next “full” rnd turn and repeat rnd 4 as usual – on RS. Octagon can start curling at some point. But this effect should be minimized by blocking. I made 28 rounds in total for S/M size, And you can make 32 rounds for L/XL and 34 rounds for 2X sizes (your octagon should measure 50-58-62cm (20-23-24 1/2") across from side to side (blocked). Please, adjust amounts of rounds according to your prefered size. The octagon's size will give you a desired length (without the bottom hem). Next week we will enlarge octagons and make triangles for sweater’s bottom. 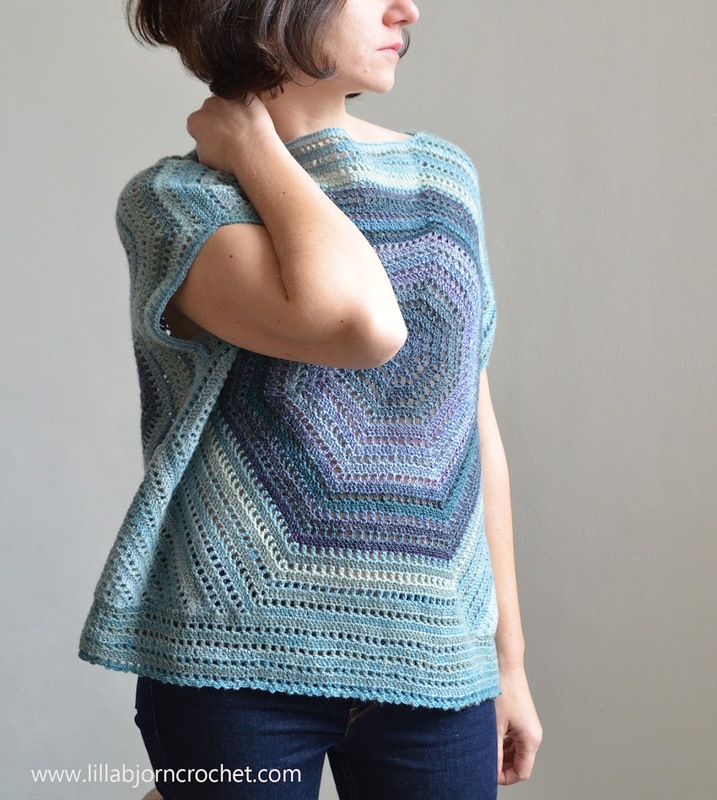 I love this pattern and have already started on my own version! Thank you for the pattern and inspiration! Thanks for this pattern. Lilla. Just what I was looking for, roomy,easy, and VERY CLASSY. Thank you so much. I LOVE this sweater. Love it 😍 Thank you Tatiana. 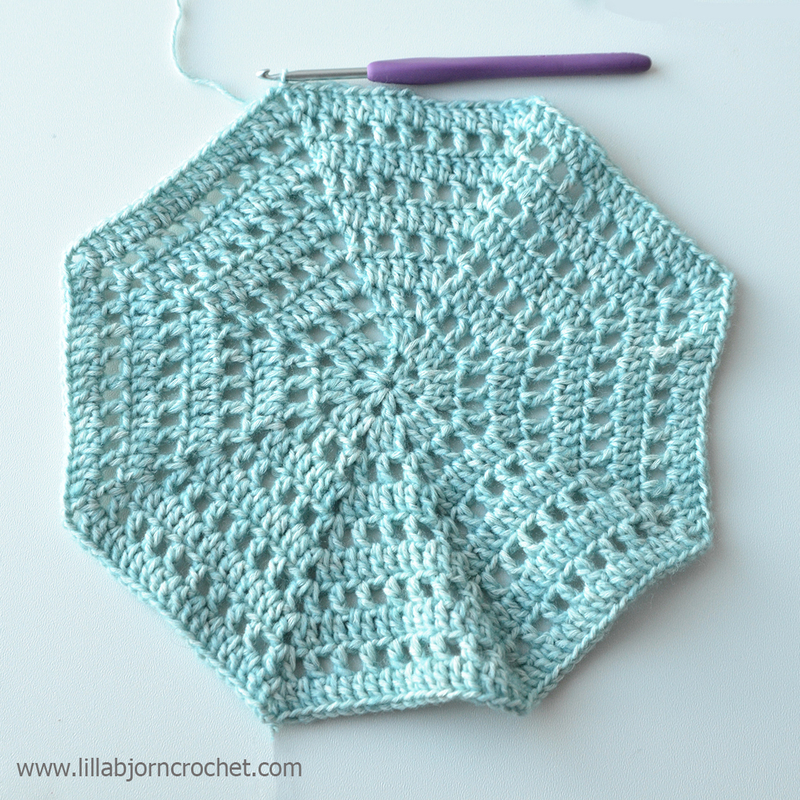 Think I'll try it with Scheepjes Whirl for summer ! Going to make this for 3 of my great nieces, and one niece. Thank you for the lovely pattern.